The problem with most car stereo systems that come with the car is that they almost never sound all that good. Only luxury cars tend to come with proper car audio systems where sound quality is the driving force. Here are a few ways that the quality levels can be improved. The first step is to replace the factory speakers. Almost always, the speakers are the weakest link of the three primary components in a car. Shop for better speakers and once installed there will be an immediate improvement in sound quality. 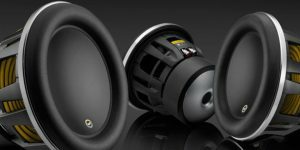 Even older cars with similar speakers will see an improvement due to the deterioration of the existing speakers over time. As mentioned above, the head unit is not the first thing that should be replaced. However, if the head unit only supports radio (as some do) then an upgrade will give USB and MP3 support. Get one with Bluetooth and music can be played directly from a smartphone. In addition, the higher-end units will have superior DAC’s which will yield a sound improvement. Even the new advanced units are available at reasonable prices at the best online discount shopping sites. The final step is expensive but will make the most of your speakers by getting an external amplifier. Head units typically come with anemic amps which are meant to pair with factory speakers. To get the most out of new speakers, the next upgrades would be amps, equalizers etc.